In 1922-23 the Long-Bell Lumber Company, under the leadership of Mr. Robert A. 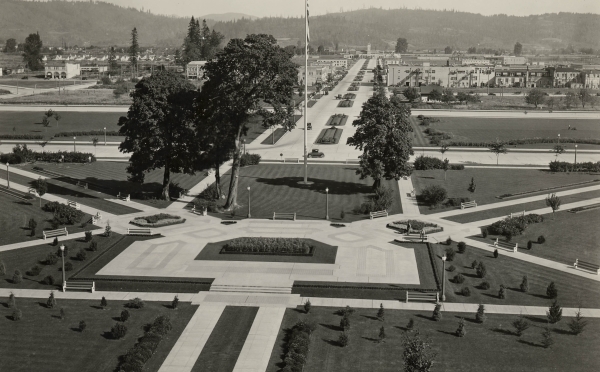 Long, conceived and started building the "Planned City" of Longview. The Public Library was the first of R. A. Long's gifts to the City of Longview. Mr. and Mrs. Long gave $150,000 to the city to build a public library. A local book drive helped gather book donations to create the original collection, and the Longs contributed an additional $10,000 to purchase new titles. 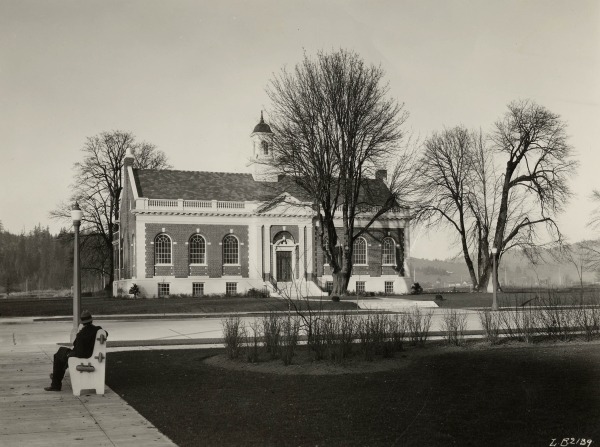 The Library was dedicated April 26, 1926 with much fanfare and speeches by Mr. Long and Dr. Henry Suzzalo, president of the University of Washington. Miss Helen Johns was the first Librarian. The original building was designed by architect Arch Torbitt in the Georgian style to match the grand design for the Civic Center that had been proposed in 1926. 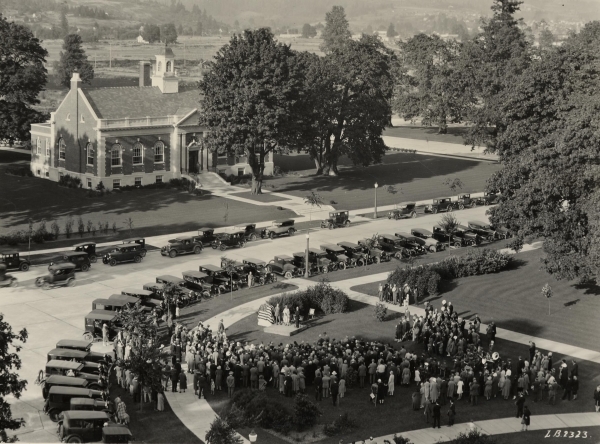 During the early years of the Lower Columbia Junior College many of the classes were held in the Library and it was the center of the college until the Main Building was built in 1950. In 1953 the Library was extensively remodeled to make more use of the lower floor for library collections. And in 1967-68 an expansion was completed which tripled the floor space of the original building. As the Library looks forward to the 21st century plans are being made to bring it up to date for handicap access and for earthquake, fire, and electrical safety and again to enlarge the building to accommodate the information explosion and to accommodate present and future technological growth. The pictures on this page and other historical pictures are from the Mark Morris Collection housed in the Longview Room. The room is open Wednesday afternoons from 3 to 5 and at other times by appointment.